Capt. Julie Scioneaux, Sheriff Willy Martin, Jr. and Col. Sid Berthelot. Sheriff Willy Martin, Jr. is proud to announce the recent graduation of Col. Sid Berthelot and Capt. Julie Scioneaux from the National Command and Staff College on June 15, 2018. 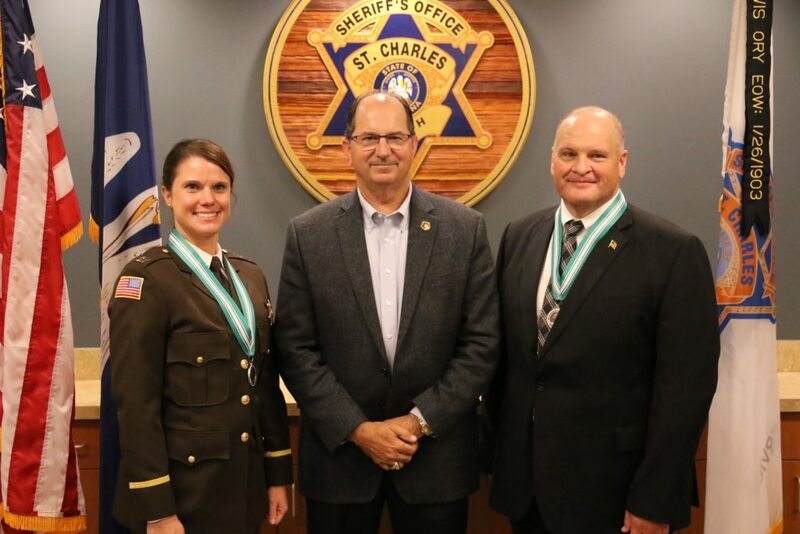 The ceremony was held at the St. Charles Parish Sheriff’s Office Training Center and Special Services Complex in Luling, La. Congratulations to Col. Berthelot and Capt. Scioneaux. For more information on the Leadership Education Program and schedule go to www.CommandCollege.org.